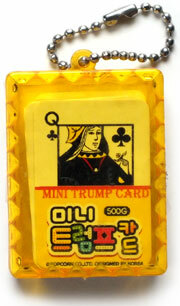 Miniature playing cards come in all shapes and sizes from all around the world. 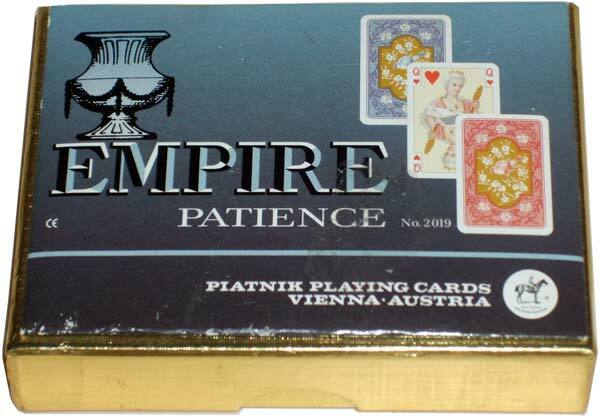 Most major manufacturers produce several miniature or patience-sized packs as there is always a demand for these from travellers or patience players. 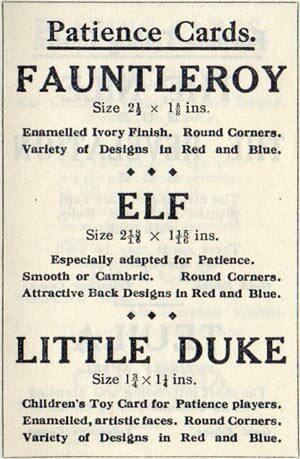 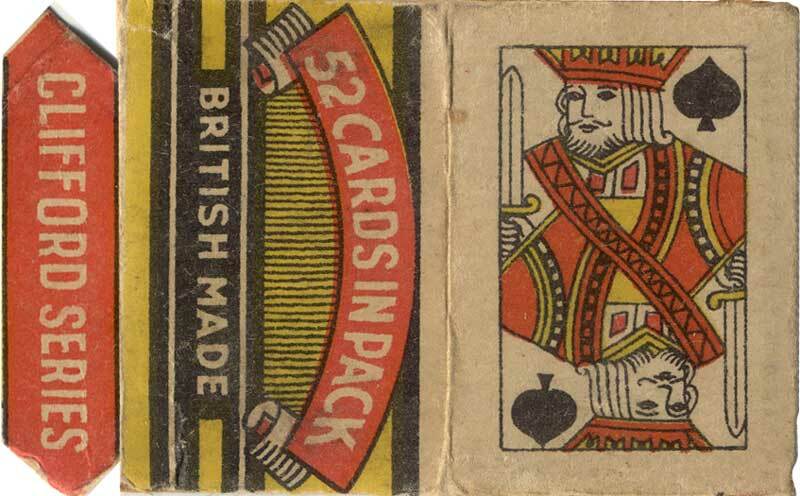 In addition, many minor manufacturers produce one-off miniature packs, sometimes very beautitul but often of low grade. 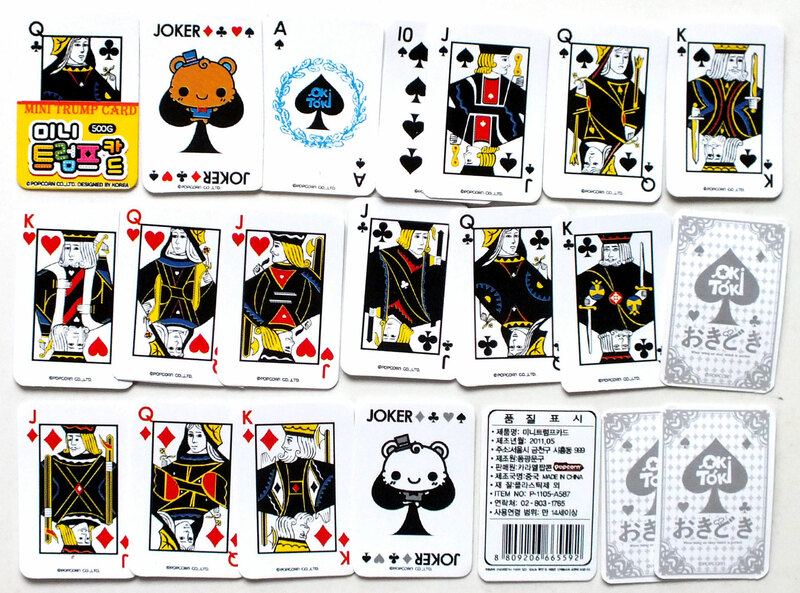 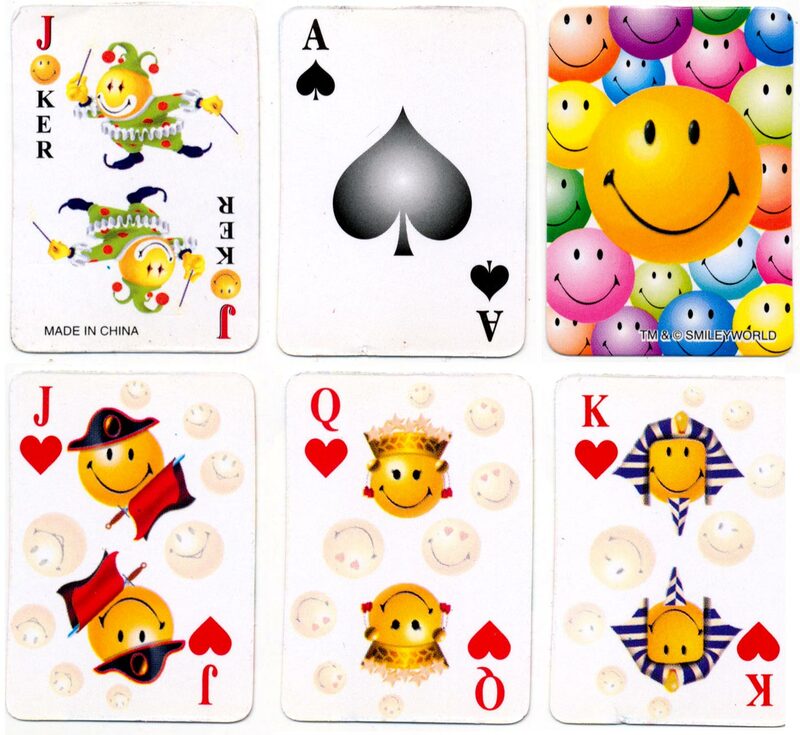 Furthermore, miniature, toy card games are often produced by consumer product manufacturers as sales incentives or free give-aways for children. 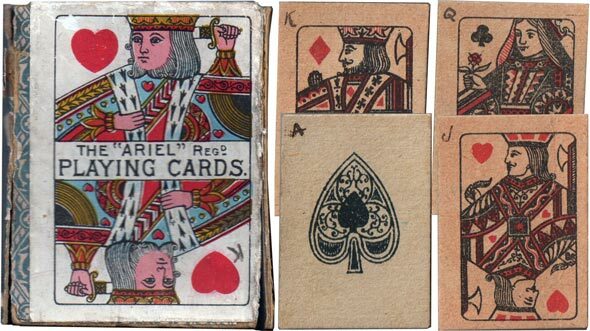 Above: these miniature “Ariel” Playing cards were published c.1900. 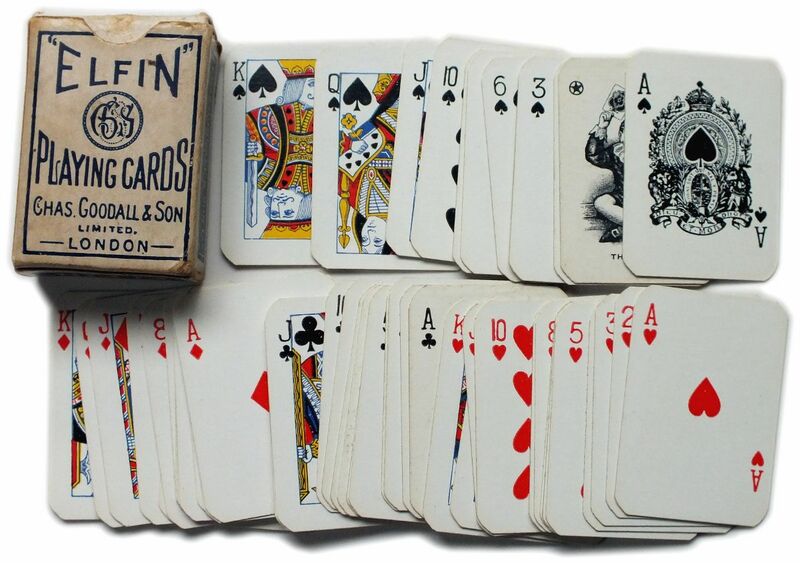 The indices have been inked in, and the box is a slide-in, like a matchbox. 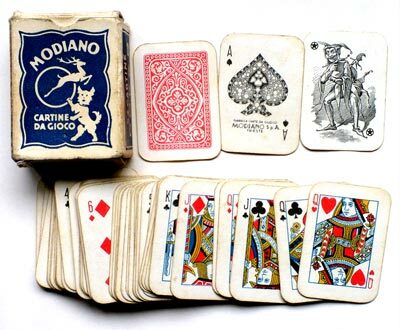 Image courtesy Ken Lodge. 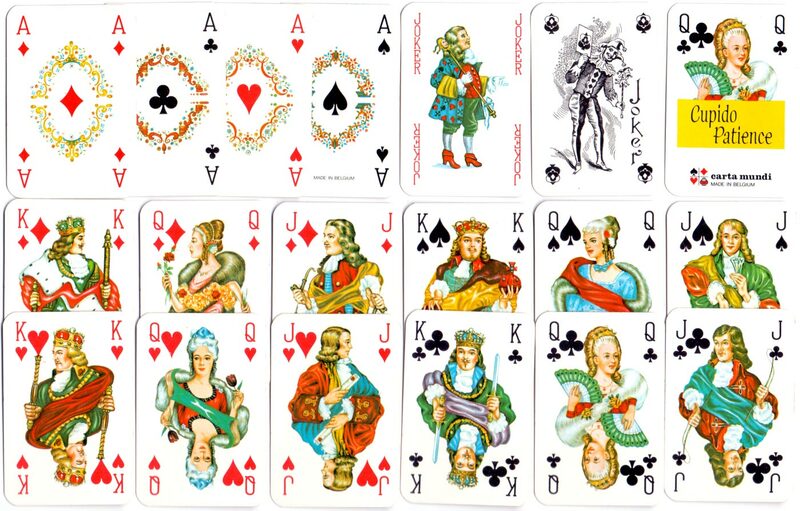 (Click image to see more). 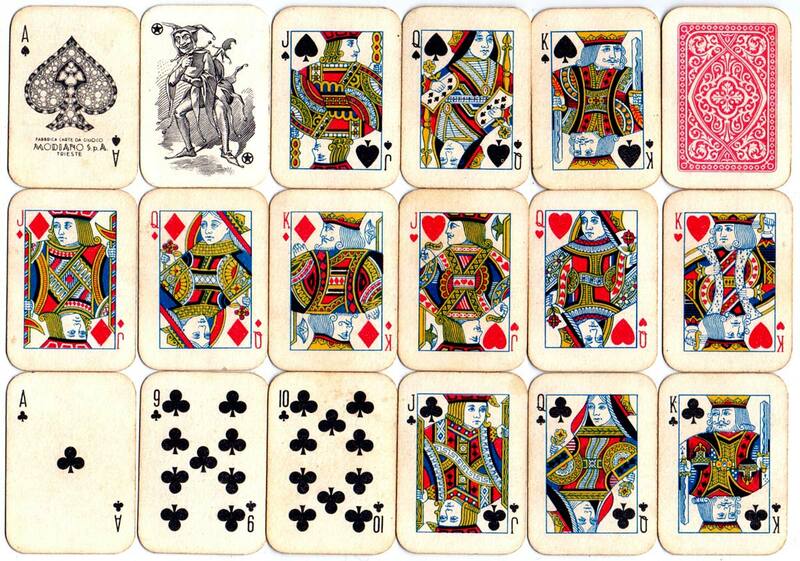 Above: Acorn series miniature children's playing cards, with 'N' monogram on ace of spades, manufactured anonymously in England, c.1950. 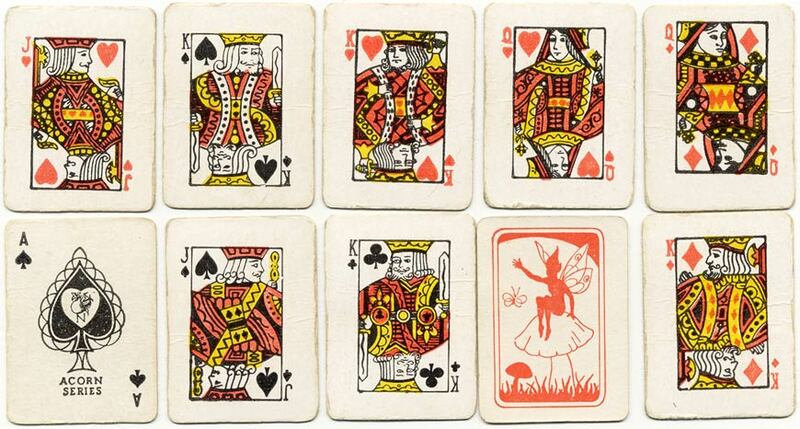 The cards are printed in red/yellow/black only and the reverse shows a pixie sitting on a toadstool. 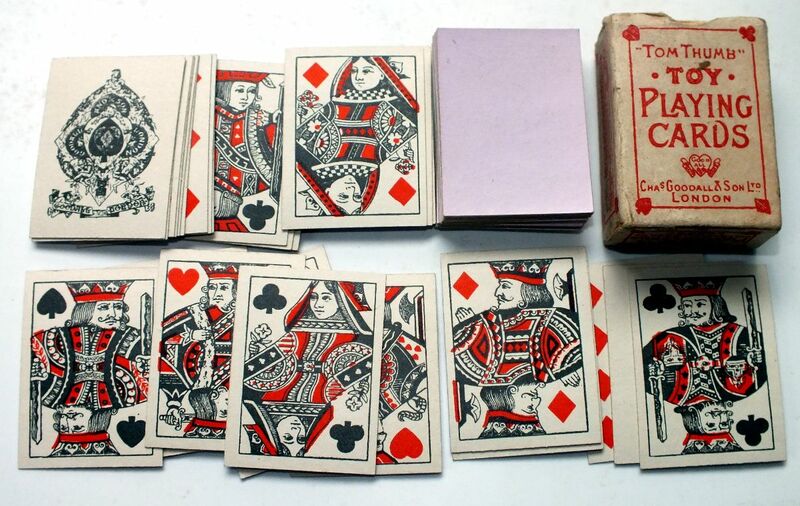 Above: advert from inside 1927 edition of U.S.P.C.C’s ‘Selected Patience Games’ booklet for various sizes of patience and miniature playing cards. 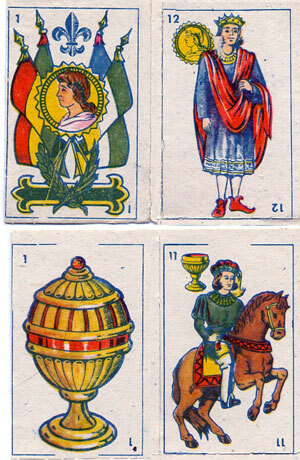 Above: anonymous miniature cards from Mexico, c.2000. 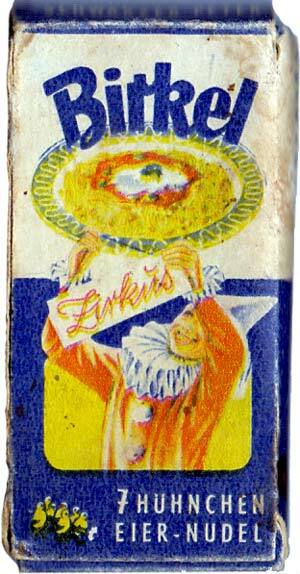 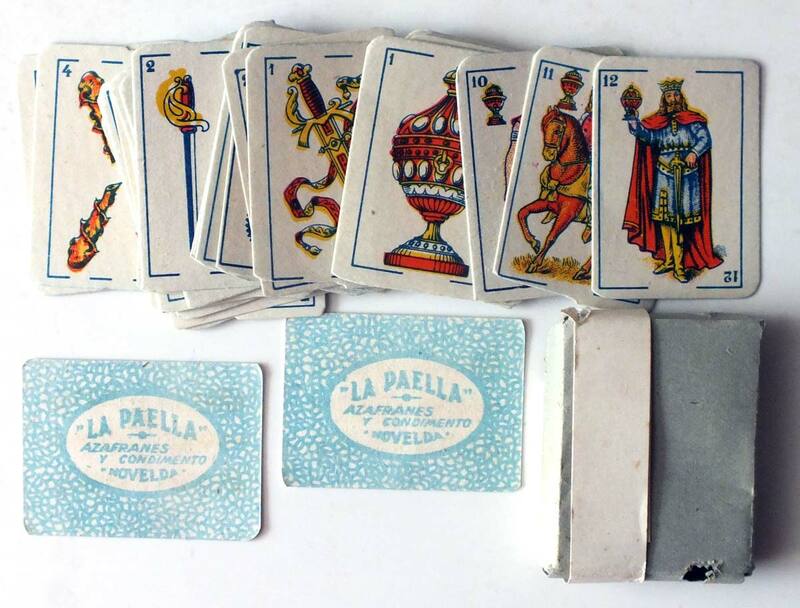 Above: miniature Spanish suited playing cards advertising “La Paella” spices and condiments, c.1930-40. 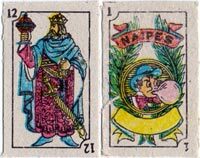 Above: Avión 201 miniature playing cards manufactured in Spain by H. Fournier S.A., c.1950, with a Spanish exportation tax stamp on the four of Clubs and an Argentinian importation tax stamp on the Ace of Hearts. 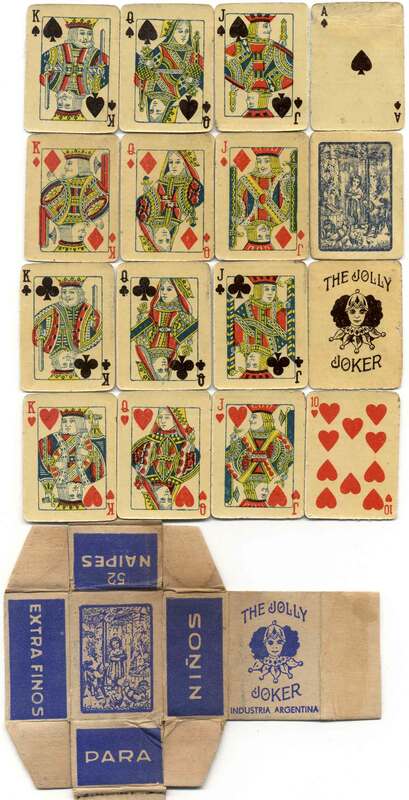 Above: miniature playing cards inserted into consumer products as a sales incentive and for children to collect, 1930s-1950s. 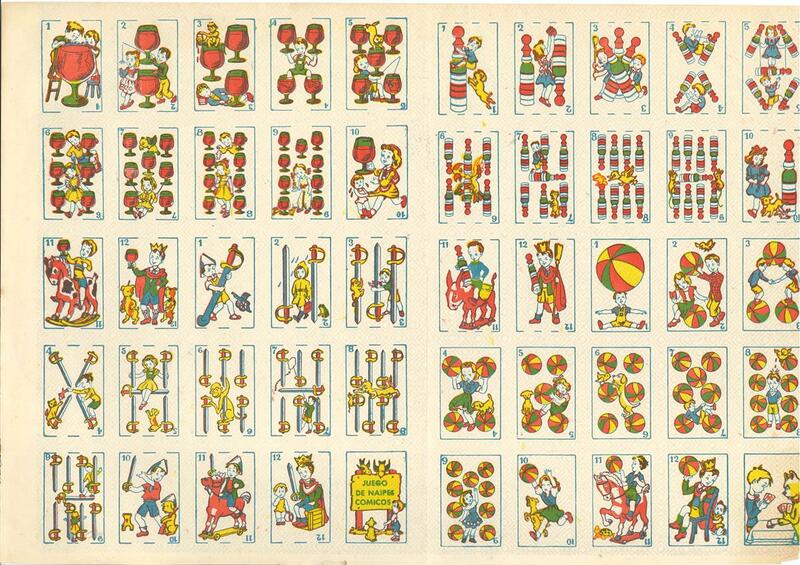 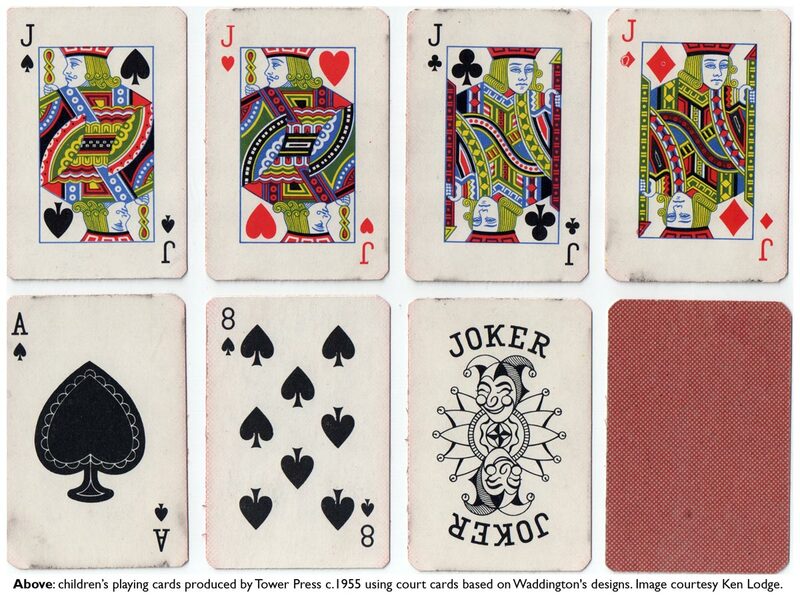 Above: cards from children's deck of miniature "The Jolly Joker" playing cards, manufactured anonymously, Argentina, c.1940s. 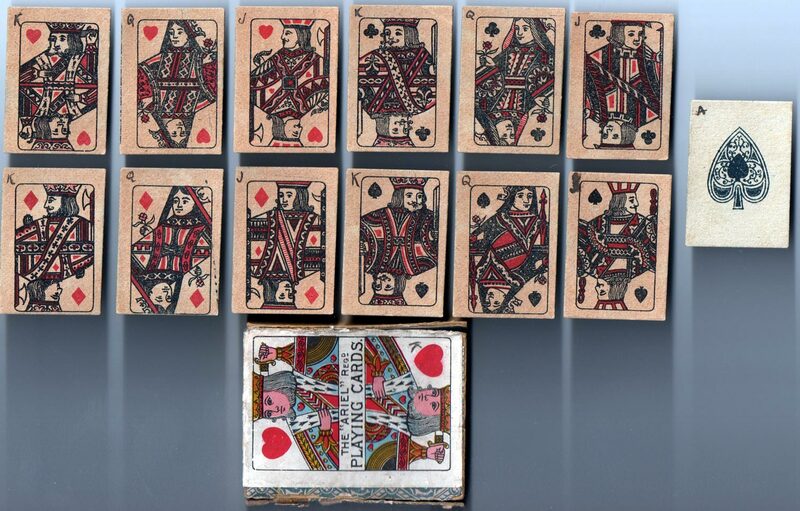 Above: two miniature decks by Hudson (Australia): a) Morley Toy playing cards, b) Junior playing cards, court cards in red/black only, 1940s or 1950s. 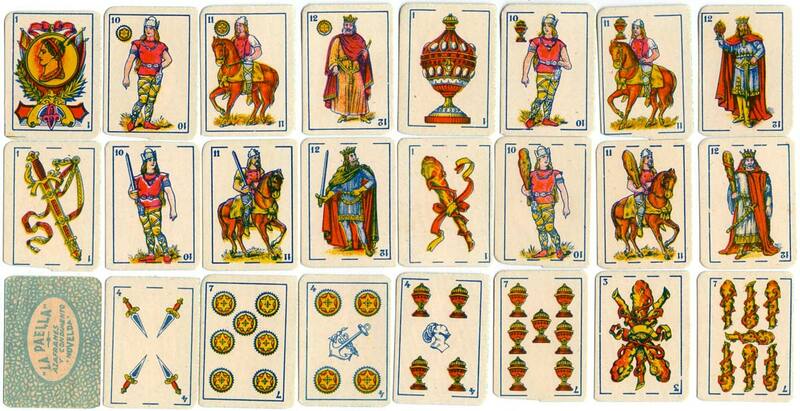 Above: miniature 'TOYS' Spanish suited playing cards from Argentina, 1980. 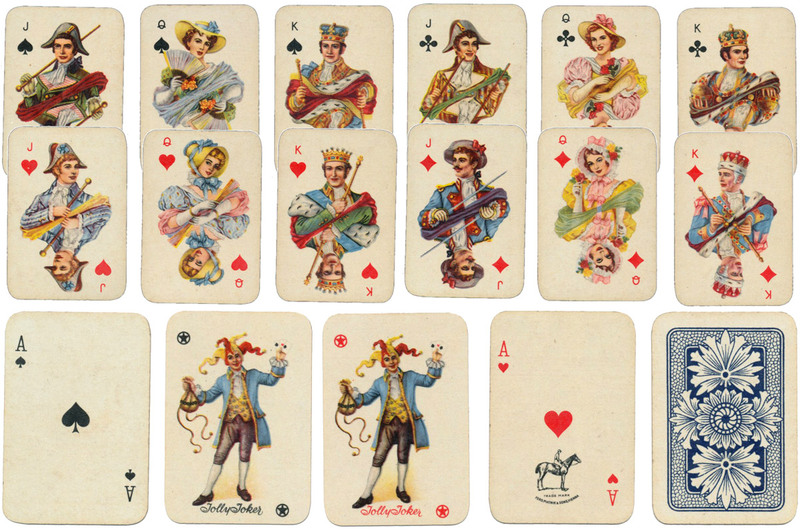 Above: Birkel Schwarzer Peter Zirkus Kartenspiel, Germany, c.1950. 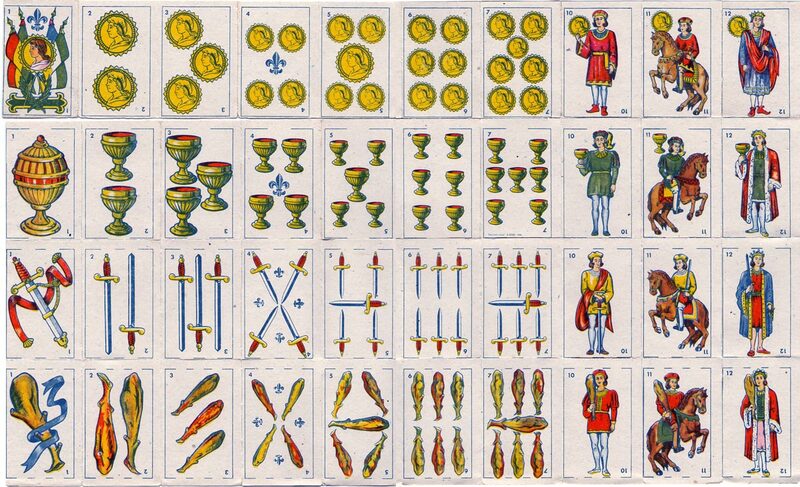 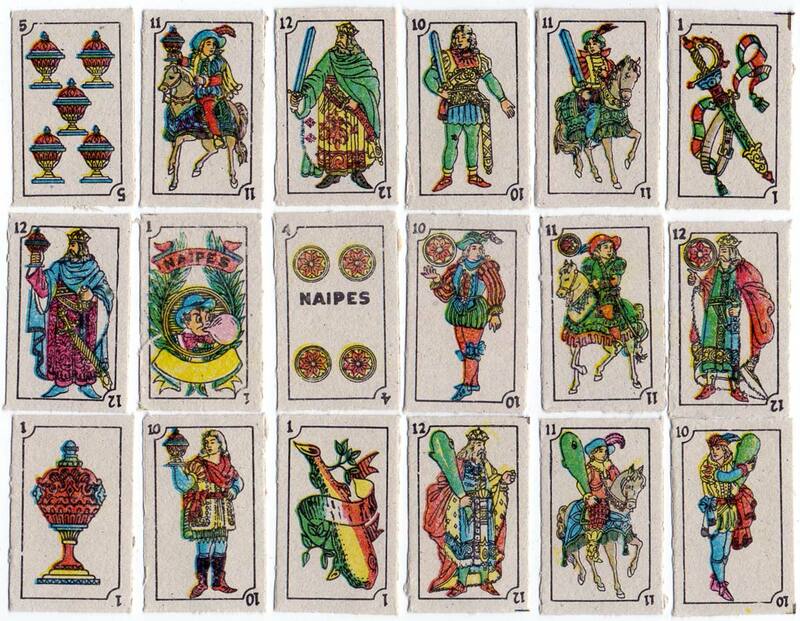 Above: Miniature Spanish playing cards, 1964. 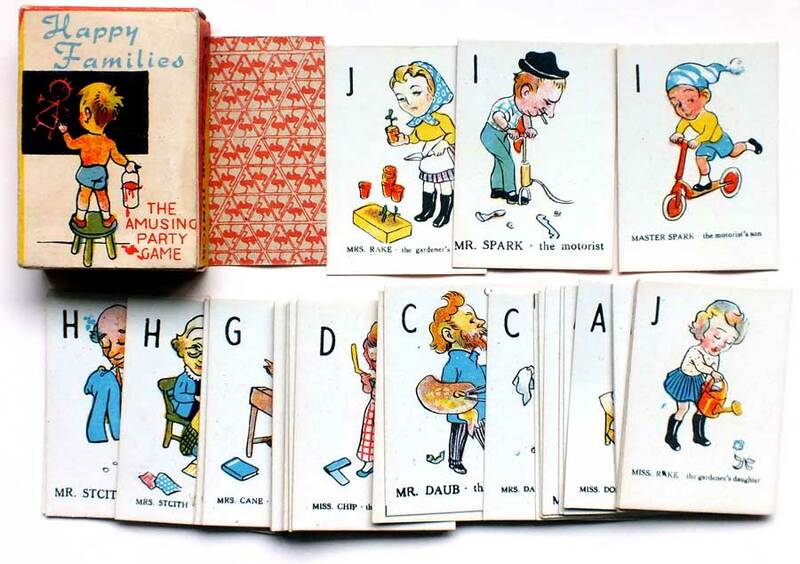 Above: Clifford Toys, (England), 1950, FLEVECO patience miniature cards.